Are you looking for a nice place, where you can enjoy gluten-free, lactose-free or vegan pancakes? Than we have some great news for you! At PANCAKES Amsterdam, we serve gluten- and lactose-free pancakes, but that’s not all… We even have vegan options! PANCAKES Amsterdam holds a great variety of gluten-free, lactose-free and vegan pancakes. You can order all the Dutch pancakes gluten-free and lactose-free. Unfortunately, our selection of American Pancakes and Poffertjes are not available without gluten or lactose. For all the vegan lovers out there, we have a special menu. At PANCAKES Amsterdam, we strive to serve the best quality, as well as fair products. PANCAKES Amsterdam is always searching for high-quality products, free of harmful additives and preservatives. Whenever possible, we use ‘free range’ products and ‘fair trade’ ingredients, produced by local farmers. We simply don’t settle for less! PANCAKES Amsterdam is the place to be, to enjoy traditional Dutch pancakes with a little twist. next to that, we also serve several delicious American Pancakes and of course the Dutch delicacy ’Poffertjes”. PANCAKES Amsterdam is also proud to serve every customer, no matter what the request is. Therefore, we also offer gluten- and lactose-free pancakes, as well as vegan options! In order to provide our visitors with the best quality and a great taste, preparation for these items may take a little longer. Unfortunately, PANCAKES Amsterdam cannot guarantee the absence of cross-contamination, but we definitely try our best! If you have any questions, please ask our staff. They will definitely have the answer for you. If you ordered a gluten-free, lactose-free or vegan pancake, you will recognize it by the special chip on the pancake. in that way, you can be absolutely sure that our chefs have made your requested special pancake. We have experienced a growing demand for gluten-free pancakes recently. But what is gluten-free exactly? Gluten is a group of proteins, that provides structure to a product made of wheat, rye, barley and oats. It is often added to pancakes as well, but for some people this can cause hypersensitivity reactions with celiac disease (gluten-intolerance). Therefore, we decided to stay on the lookout for new ways of preparing our pancakes, so that they would still be available for everyone. We are very proud to serve pancakes that are made of the best quality gluten-free flour. Would you like to know more about our gluten-free Dutch pancakes, click here! Lactose-intolerance is the inability to digest lactose. Lactose is a component of milk and other dairy products. A lactose-free diet means eating foods that do not have any lactose. The basis for lactose-intolerance is the lack of an enzyme, called lactase. Our lactose-free pancakes are also gluten-free and made with soy milk. So, guests with an gluten allergy or lactose intolerance can enjoy our delicious pancakes. Would you like to know more about our lactose-free Dutch pancakes, click here! Veganism is a type of vegetarian diet. Veganism is a way of living that excludes food, clothing or any other product made out of animal resources. For example, meat, eggs and dairy products. There are many reasons to embrace vegan living, which is why it’s getting more popular every day. 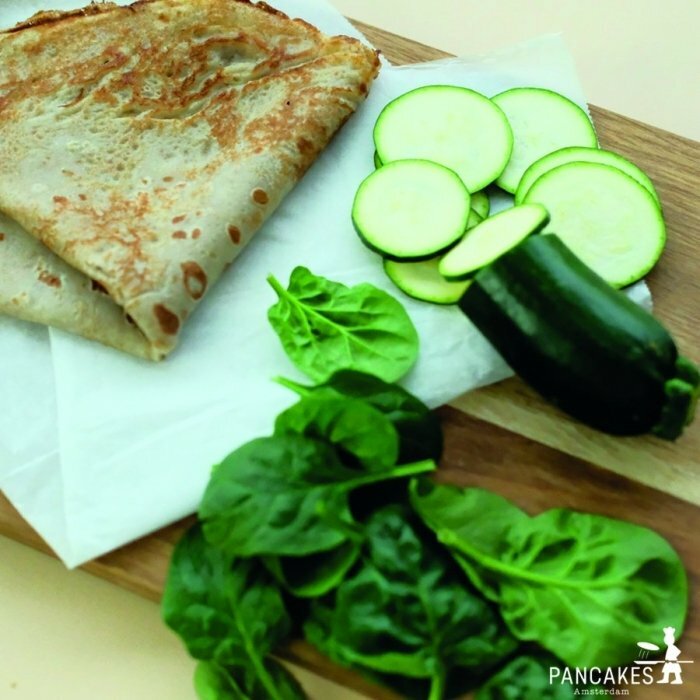 Would you like to know more about our VEGAN Dutch pancakes, click here! Preparing gluten-free, lactose-free or vegan pancakes takes our pancake game to a whole new level. The preparation time takes a bit longer, in order to guarantee our high quality and to exclude all allergens from our products. but hey, look at it from the bright side: more preparation time also means more quality time with your friends and family! At PANCAKES Amsterdam we want everybody to enjoy delicious pancakes, as long as it’s safe for your health. Therefore, we introduced a system that enables both the waitress and the guest to verify the pancake of choice. Everyone can recognize the gluten-free, lactose-free or vegan pancakes, because of the little chip on the pancake. Just make sure you’re getting the chip! 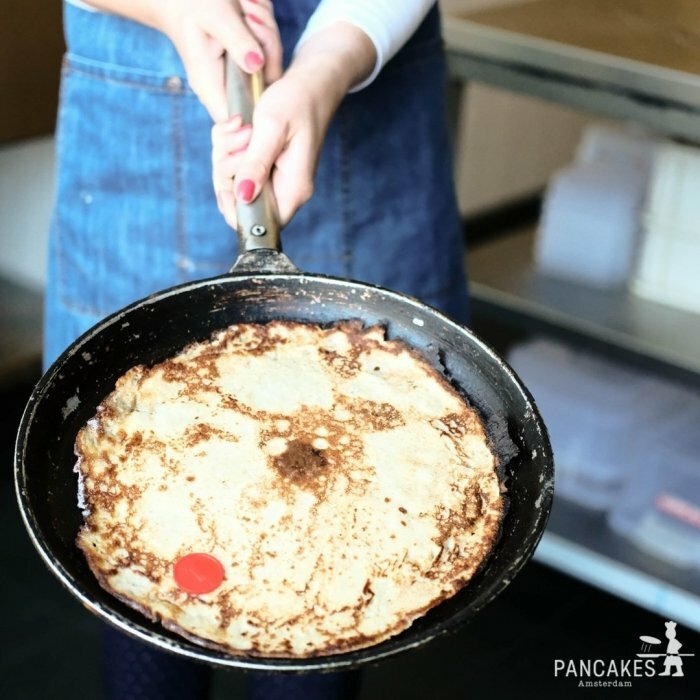 Did you enjoy your special pancake at PANCAKES Amsterdam and would you like to make them yourself? 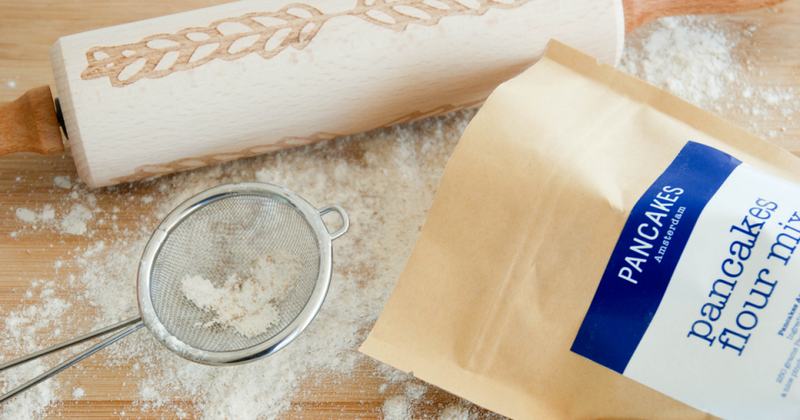 You can buy our gluten-free flour at all of our locations and start baking some delicious pancakes at home right away! Check out our own PANCAKES Amsterdam collection here. Hope to see you soon in one of our locations! Check our PANCAKES Amsterdam locations here!